Featuring an iconic quote from outdoor legend, John Muir, this boot design is perfect for anyone that likes to hike their own trail. 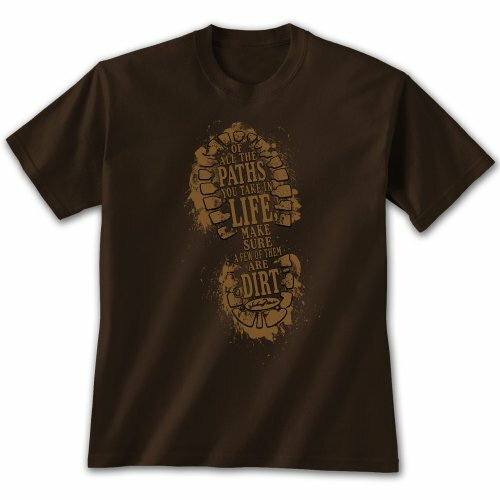 Through the mountains, woods, or old dirt roads, hiking is known to cleanse the soul. Pre-shrunk 100% cotton makes for a soft fit that never changes. Seamless collar won't chafe. Double-needle stitched neckline, sleeves, and bottom hem for durability.